Focusing on Healthcare Informatics, we are well aware of the fact that the solutions we create play a very important role in human health and happiness. 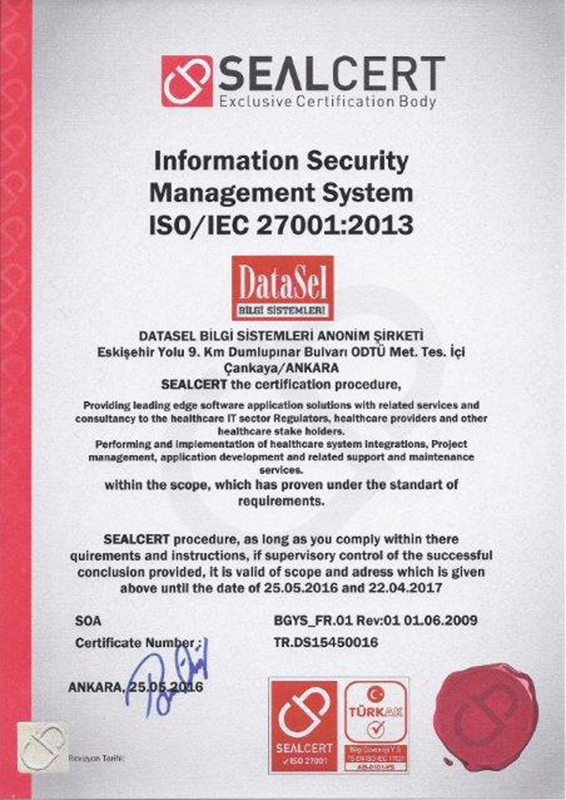 DataSel’s priority is to thus produce reliable solutions, adapted to the requirements of our customers, fully integrated, with high quality and reliability. 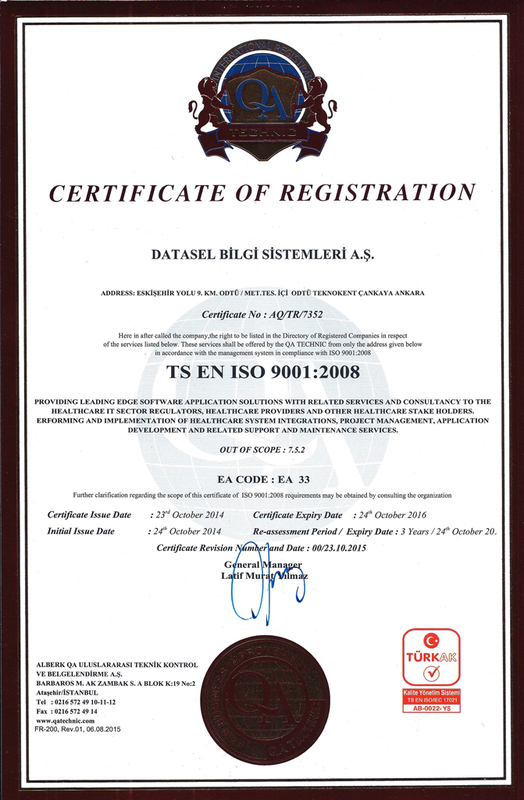 DataSel has a no-compromise approach in conforming to applicable laws and regulations, wıth our guiding principles of honesty and transparency and high work ethics, we aim to become an exemplary company in our sector. The fact that all the communication channels in DataSel are kept open and that all our employees including the management are open to constructive and participant criticism reflect on the high quality of our products. The fact that we share the problems encountered when realizing our solutions with the units inside the company as well as with our customers as soon as possible, allows us to have a flexible structure and increases customer satisfaction. DataSel is also well aware of the fact that providing its employees with a happy, healthy, participative and honorable working environment contributes to the high quality of its products .